Mrs. Betty Ruth Mason, age 83, of Rex, passed away March 21, 2019. Betty was born in Douglasville, GA on October 23, 1935 to the late James Ruffin and Bessie Evelyn Swofford. Betty graduated from Roosevelt High School in Atlanta, where she met her husband-to-be, William Mason. 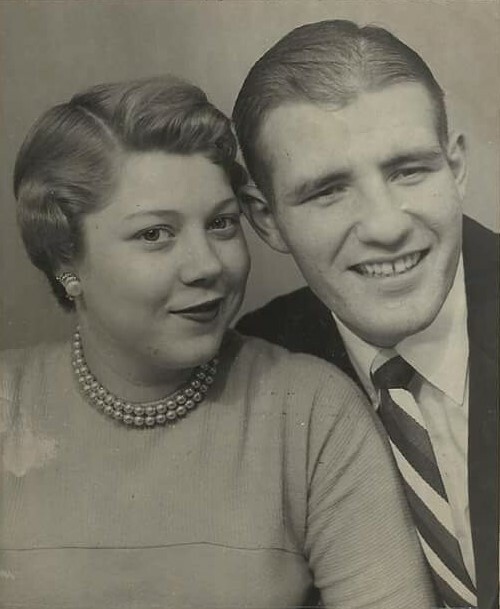 The couple was wed on November 19, 1955. They settled in East Atlanta and became the parents of two sons, Chris and Scott. Betty was a devoted member of Sylvester Baptist Church in East Atlanta for many years. In 1972 the Mason family moved to Rex, where Betty spent many happy years. She was an active member of The Rock Baptist Church for 43 years. Betty was known for her great sense of humor. She enjoyed needle work, cross stitching and crocheting. Betty enjoyed camping and visits to the sea shore. She was at peace on a quiet beach collecting sea shells. 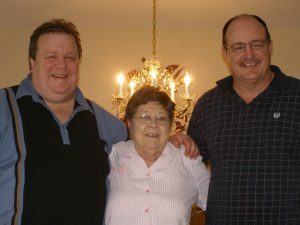 Betty was a loving mother who made growing up fun for her sons. She cherished her grandchildren and her dogs. She will be remembered for her love of laughter and her endless humor. Along with her parents, Mrs. Mason was preceded in death by her brother, Jimmy Swofford, and beloved canines, Lucy and Duncan. 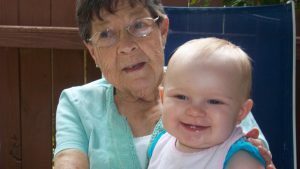 She is survived by her husband of 63 years: William Donald Mason of Rex; sons and daughter-in-law: Chris and Dede Mason of Ellenwood, and Scott Mason of Rex; grandchildren: Jake, Mason and Lee; great-granddaughter: Aralynn; cherished pets: Marley and Princess. A Celebration of Life will be held at 12:00 PM on Saturday, March 30, 2019 at The Rock Baptist Church, 6188 Highway 42, Rex, GA. Friends may visit the family beginning at 10:30 AM at the church. 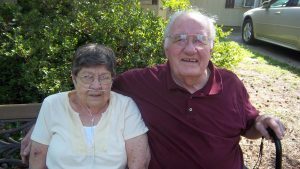 The Mason family is being assisted by Georgia Cremation, 1086 Hwy 54 West, Fayetteville. Messages of condolence may be left at www.GeorgiaCremation.com. May the Lord bless you and keep you: the Lord make his face to shine upon you and be gracious to you; the Lord lift up his countenance upon you, and give every one PEACE. Numbers 6:24-26. The Mason family were the first to welcome me to the neighborhood. Two years ago, I was sick and all alone; it was Thanksgiving and I was to sick to try and cook. That day I heard the door bell ring, it was Scott with a Styrofoam container filled with Turkey, dressing, peas, dinner roll and dessert. I was stunned and very grateful. The food was delicious. I didn.t know I was hungry, but the aroma was overwhelming. I prayed my prayer of Thanksgiving. This Family Practice Christianity in their daily lives. I love this family and I will miss my friend (Betty) I know she is at Peace and has earned her Golden Crown to show off her beautiful Red thick hair. I m happy I had a chance to meet mrs Betty she was wonderful person in short time I know her she just touch my heart. From the time that I spent with her and her family she passed that good spirt she had into her loved ones they made feel welcome every time I come around to the family I thank y’all for sharing this special and person with me .